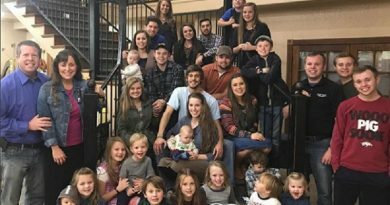 19 Kids and Counting former reality star, Amy Duggar, never fit the mold of strict behavior demanded by Jim Bob Duggar. Although she left the show under somewhat of a cloud, she’s back in the family, so to speak. She reopened her Instagram account in February according to In Touch Weekly. However, it remains a private account. Next, Celebrity Insider noted that Jinger Vuolo started re-following her in September. Now, she’s opening her own business, which could be a shocker for Jim Bob. Her new business is a clothing outlet. Amy Duggar explained, “I just want to capture the essence of a woman in the clothing, with a lot of different textures and curated items. Just different pieces that are specialty and fun.” One wonders if they will only feature skirts below the knee. If they look too way out, her extended Duggar family probably won’t be allowed to support her new venture. Springdale seems set to see Amy Duggar bring new fashion to the town. How radical that fashion’s likely to be isn’t specific. However, given that the name’s based on a religious reading, it may appeal to those of strong faith. Amy noted that she anticipates “some low-cut pieces,” plus “bell sleeves, fun necklines, great denim, and rompers.” She told Radar that Tee-shirts won’t feature. According to Amy, she’s losing the old-town “rustic” style as well. Actually, going the opposite way completely, velvet and “plush girly things” deliver a new experience. Amy plans for real style but without an expensive “price tag.” Her husband Dillon King’s part of the new venture, as co-owner. Working together may keep them close, but will it keep her way out of 19 Kids and Counting’s Jim Bob’s good books? 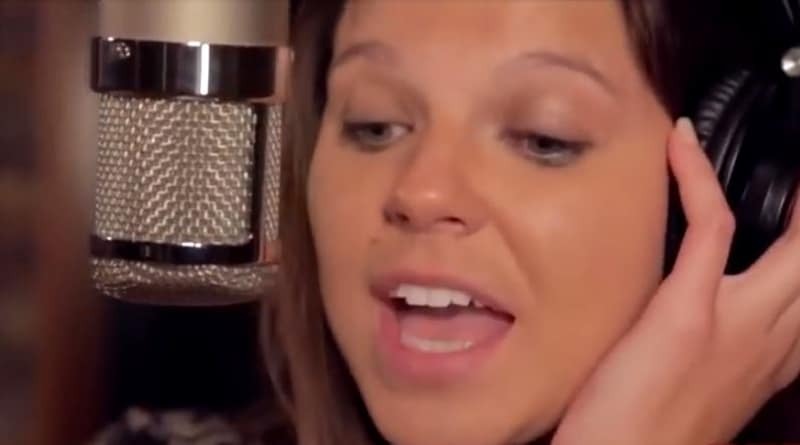 Fans of the show know the Duggars approved of her singing, even though she failed miserably at that as a career. But low-cut necklines may cross the line. Amy Duggar, clothing rebel in 19 Kids and Counting, possibly influenced Jinger Duggar a bit. Actually, Jinger also rebelled, and fans recalled her spotted in pants rather than a skirt. She too moved away from her hometown after marrying Jeremy Vuolo. Additionally, she followed Amy’s Instagram after Amy Duggar allegedly had to remove all reference to her relatives in June. Perhaps Jinger will become an occasional customer in the new store after it opens December 1? What do you think about Amy Duggar opening a clothing store in Springdale? With the “low-cut pieces,” do you think Jim Bob will see it as flying in his face? Stay up to date with news about 19 Kids and Counting and Counting On by checking in with Soap Dirt often.